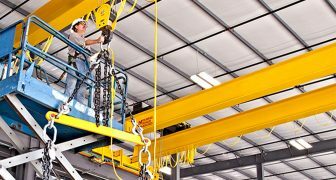 Cranbalt provides professional lifting machines and auxiliary equipment manufacturing and repair services. Cranbalt is a manufacturer of bridge cranes, gantry cranes, jib cranes and lightweight cranes as well as their components and beams. Cranbalt AB is a manufacturer of bridge cranes, gantry cranes, jib cranes and lightweight cranes as well as their components and beams. 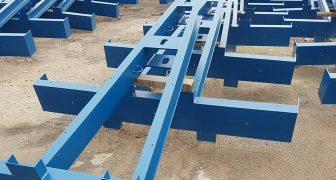 We can guarantee you quick and efficient manufacturing of cantilever racks and other steel structures. We perform plasma cutting of sheet steel of varying thickness. The company professionals have many years of career experience therefore can assure professional solutions to meet your needs. We strive to create the most value to the customer through use of modern technology and innovative solutions. The company is the holder of a Licence for Permanent Supervision on Potentially Dangerous Equipment issued by the Ministry of Social Security and Labour. High quality of work is secured by the quality management systems (EN ISO 9001:2008) and environmental management systems (EN ISO 14001:2005) introduced in the company. The company strictly complies with the requirements of (OHSAS 18001:2007) Standard for Occupational Health and Safety. Welding operations are performed according to the requirements of (EN ISO 3834-3:2006) standard and steel structures are manufactured in compliance with (EN 1090-1:2009+A1: 2011) standard. 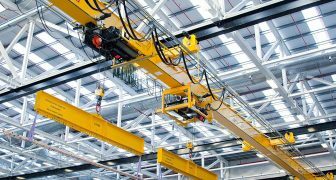 We manufacture industrial cranes, bridge cranes, gantry cranes, jib cranes and lightweight cranes as well as their components and beams. Manufacture of metal steel structures according to individual individual orders. 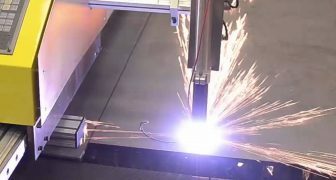 Sheet metal cutting with the CNC gas / plasma cutting machine. Crane repair, modernization service and their monitoring. 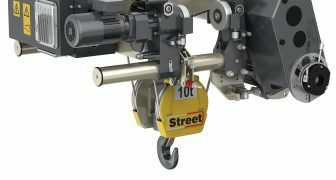 Various crane components, crane parts and technical service.